The Fifth Brigade had been deployed to extinguish what Mugabe said was insurgency from the Joshua Nkomo-led Zimbabwe African People Union military wing called the Zimbabwe People's Revolutionary Army. "He must be tried for the people he killed through Gukurahundi. Chiefs must take him and try him and make him pay for his sins. He has plenty of cattle at his Gushungo Dairy and that is how he can exorcise ngozi [avenging spirit]. He is old, but still coherent and must be tried," Matemadanda said. He spoke to SMTV in an apparent reaction to Mugabe's recent attack on President Emmerson Mnangagwa over the extra-judicial killings carried out by members of the security forces in January this year. "When we talk about the old man — the Mugabe mythology. You may want to forgive the old man, but I don't think he deserves forgiveness, because surely, surely Mugabe tells Mnangagwa not to kill people … it's unheard of. Mugabe, telling people not to kill each other. Who is the specialist?" Matemadanda asked. "Some of us survived because of our speed to run away. Even Mnangagwa he is talking to … he forgets that he escaped death from him. Maybe he (Mugabe) is the known and approved hangman or killer. I think he (Mugabe) wanted to say you are taking away my job (of killing people) because that's his job. "I went to Matabeleland and Midlands. I come from the Midlands and I said this man is old, but still coherent. Chiefs, take this man, he has cattle at Gushungo Dairy. Because avenging spirits are settled by paying cattle and he must be tried for Gukurahundi massacres so that we can close this case." "So, as of now, we cannot call him a mass murderer. 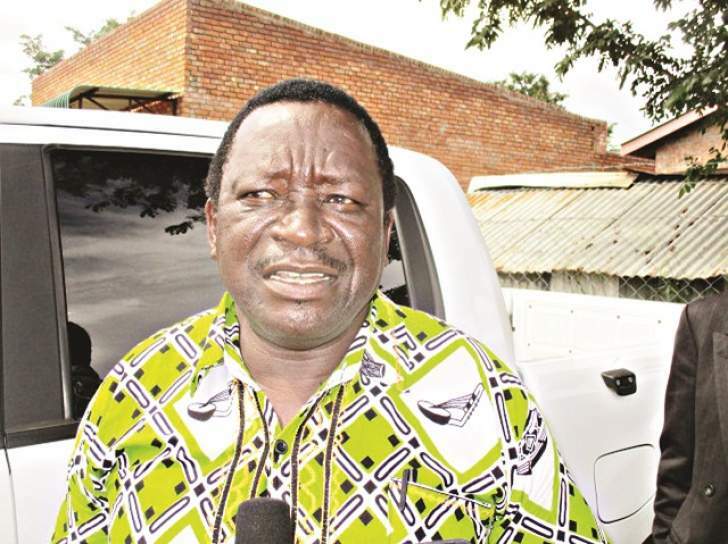 We can only say people got killed during his rule until the court finds him guilty," Matemadanda said, hinting at the direction the Mnangagwa administration could be taking to solve the Gukurahundi issue. The massacres, which have been a source of pain and rift between the Ndebeles and the predominantly Shona tribe, with some of the former calling for separate a Ndebele State, have been used by opposition leaders to garner votes in mostly Bulawayo and other pockets of Matabeleland, where Zanu-PF has not won seats in parliamentary elections since independence. Matemadanda fell out with Mugabe for openly backing Mnangagwa's ascendance. "We can just say people disappeared … maybe they just sunk we don't know … and then he accuses Mnangagwa saying don't try to be God as if he (Mugabe) is a god bigger than God himself," Matemadanda said. "In our culture, if you are a witch and you come crying more than the bereaved, we give you the deceased to eat," Matemadanda says in the video clip. He said it was entirely up to Mnangagwa to "put him [Mugabe] in order". "Mugabe not only killed people, but destroyed the economy. These problems that we have are a result of Mugabe's rule. Even the sanctions; he enjoyed going all over insulting people over there and yonder. He became famous for insulting," Matemadanda said. Mugabe, at one time hijacked a Johannesburg earth summit to denounce then British Premier Tony Blair, telling him, "So Blair, keep your England and let me keep my Zimbabwe", while defending the seizures of white-owned farms. Mugabe, who also used international forums to attack former United States President George Bush, turned his back on the Commonwealth, worsening the country's economic woes.